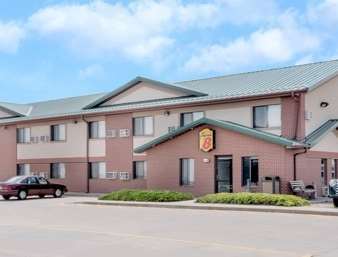 100 Percent Non Smoking Hotel ideally located on I-90 at exit 192. We offer High Speed Wireless Internet with a Public access PC in the Lobby, and SuperStart Breakfast. Next door is the BP Convenience store with bar and casino, 24-hour Truck Stop, and The Diner, Sub Sandwiches, Homemade Ice Cream. Complete your stay by visiting Pioneer Hallmark and Gifts or the Pioneer Auto Museum. Pet policy is 10 USD per pet per night, only medium sized pets, maximum of 2 pets.